Mark McGrillis was born in Philadelphia in 1872, and died there in 1935. 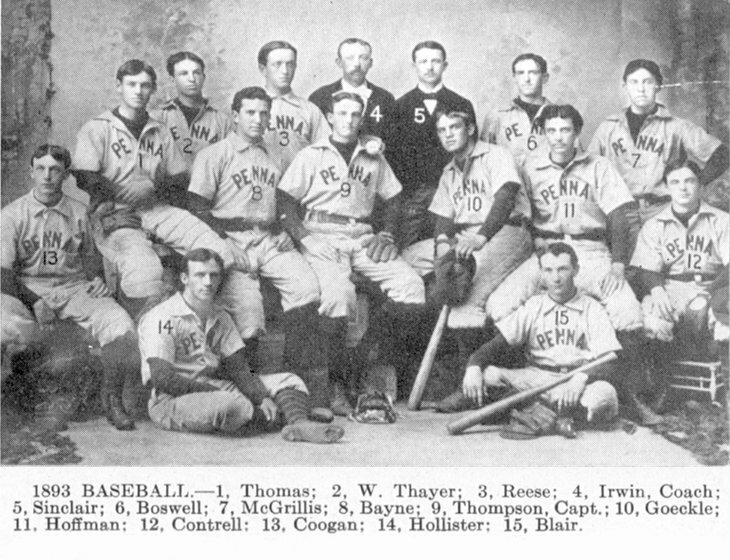 His time as a Penn student must have been brief since the only record of his time here is his inclusion in an 1893 yearbook picture of the Penn baseball team. McGrillis debuted with the St. Louis Browns on September 17, 1892. That one game constituted his entire major league baseball career.